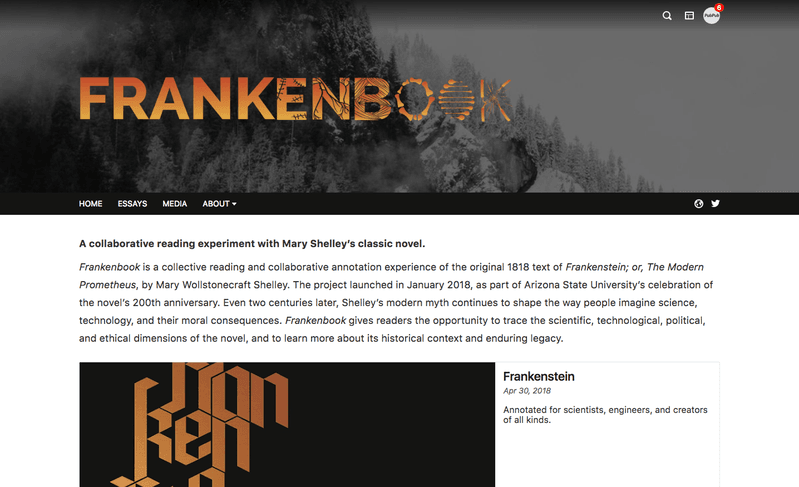 PubPub implements publication the way the web was designed: collaborative, evolving, and open. We do so in a graphical format that is deliberately simple and allows illustrations and text that are programs as well as static PDFs. 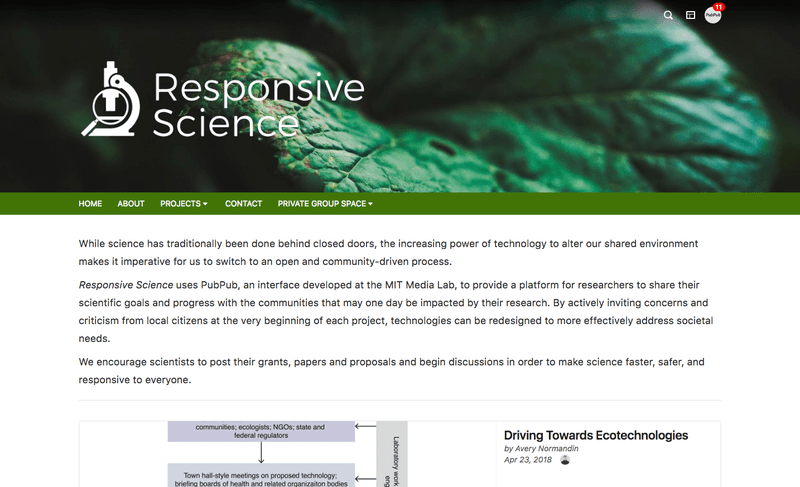 The intention is to create a distributed alternative to academic journals that is tuned to the dynamic nature of many of our modern experiments and discoveries— replicated, evaluated on-the-fly, and extended as they are used. It is being used for journals and for engaging people with the diffusion of genetically edited species to combat Lime disease and mosquito-borne infections. All viral work will move from the web to PubPub. We are working closely with the MIT Press to host a series of active journals and books. We share a mutual goal of improving PubPub to support full real-world publishing pipelines and applications.